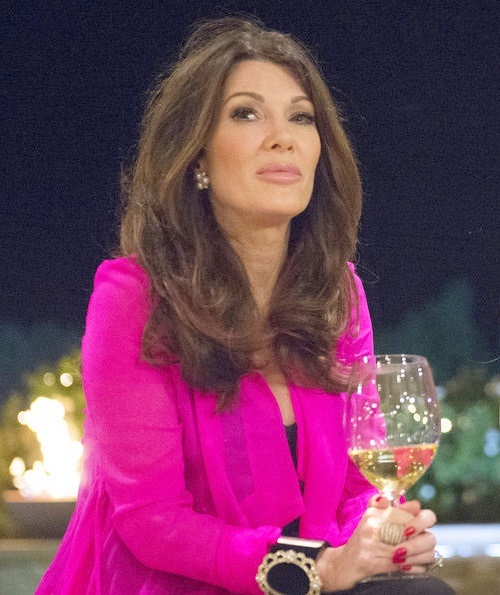 This season of Real Housewives Of Beverly Hills had everyone wondering: “Who’s The Most Manipulative Of Them All?” And you may ask yourself, is it really Lisa Vanderpump? And you may ask yourself, what about some of the others? After an entire season speculating about how manipulative Lisa could possibly be, we decided to examine other drastic moments of manipulation littering the history of Reality TV. Below is Reality Tea’s list of some of our favorite examples of manipulation on reality TV! Photos – Former Real Housewives Of D.C.’s Michaele Salahi Gets Married To Journey’s Neal Schon…On Pay-Per-View! Don't stop believin' in fame mongers' creativity! Former Real Housewives of D.C. and White House gate crasher Michaele Salahi has fulfilled every little girls' wedding fantasy by marrying an 80's rock star…on Pay-Per-View. When reality stars split, they really split! I mean like it gets downright brutally dirty! We’re shocked at the levels these F-Listers celebrities will go when undergoing a divorce – and we’ve heard (and seen!) it all. Below is Reality Tea’s list of the worst reality television divorces! Above: Bethenny Frankel and Jason Hoppy. Oh this one is deadly. The couple who met, got knocked up, married, and then fell apart on reality TV are the poster children for not letting 15 minutes of fame control your life. Three years of wedded… miss? CONTINUE READING FOR OUR WORST REALITY TV DIVORCES! Here are some of the latest bites of reality TV news this week, including tibdits about Rachel Zoe, Mimi Faust, deets on Michaele Salahi's engagement ring and even a snippet about Michael Jackson's kids. First up is Love & Hip Hop: Atlanta star Mimi Faust. During a recent interview, Mimi revealed that not only will she be returning for season 2, but she's also taking a page from the Reality TV Star Guide To Riches. Mimi is writing a book, working on a kids' clothing line, as well as a home decor line. Journey’s Neal Schon Proposes to RHODC’s Michaele Salahi! "Just a small town girl, living in a lonely world, she took a town car to crash the White House correspondents dinner…Just a city boy, born and raised in Oklahoma (I googled it! ), he stole a faux cheerleader from a swindling wine maker." I know the guys from Journey are devastated that they didn't enlist me to help them write their songs. Sometimes I miss seeing Michaele Salahi and her gnome ex-husband Tareq in the tabloids. They provided so much entertainment during their stint on Real Housewives of D.C. There was that minor national security issue, coupled with Michaele claiming (among other things) that she was a former NFL cheerleader and suffered from M.S. The quintessential cherry on top, however, was when Michaele ran off with Journey member Neal Schon right under her husband's nose, leading him to think she'd been kidnapped. You just cannot make up this stuff!